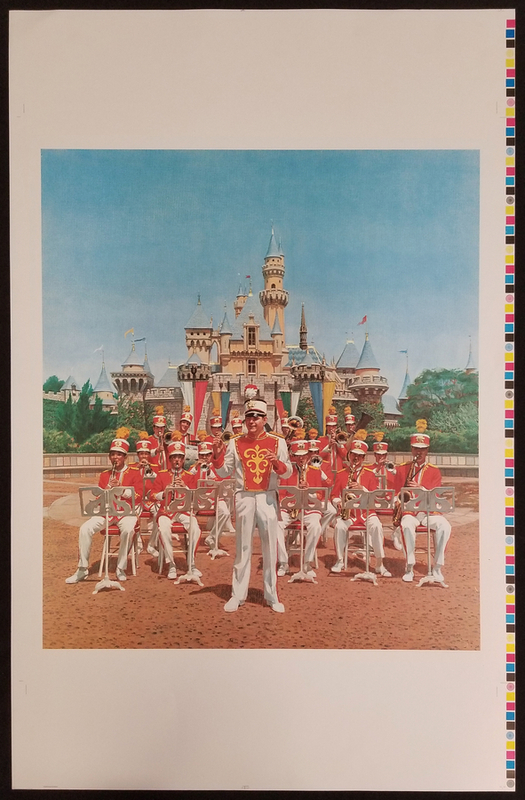 This is a beautiful print test for a lithograph by Charles Boyer from 1982. 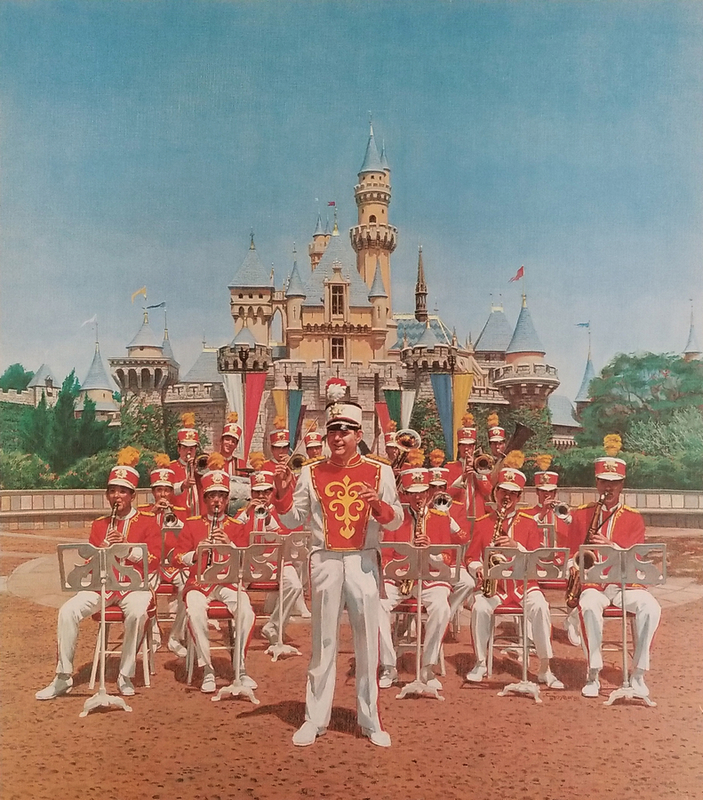 This image features the Disneyland Band in front of "Sleeping Beauty Castle". The artwork measures 35" x 23" overall with the image itself measuring 22.5" × 20". The print is in good condition with some minor wear including a few small spots of discoloration.